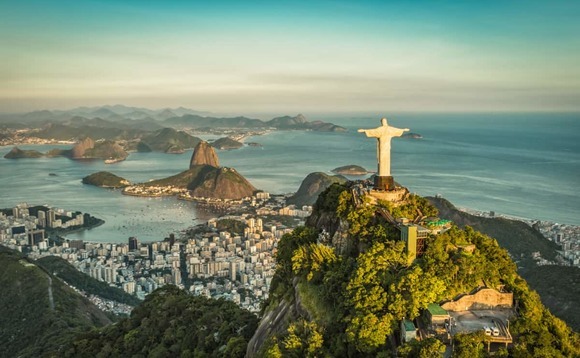 Care Plus, the Brazil-based health insurance arm of Bupa, is introducing a new, “global” range of international private medical insurance to the Brazilian market, which it says is a first for that country. The launch of the Master International range is being done in collaboration with two other established names in global healthcare – Blue Cross Blue Shield in the US, and Bupa’s own international business outside of the US – Care Plus said in a statement. It said the “unique-to-market” new range would offer businesses in Brazil “a significant talent attraction and retention tool”, as it will enable them to offer their employees healthcare coverage “around the world”, not just in their home market. Founded in Brazil 25 years ago by its chief executive, Roberto Laganá (pictured), Care Plus was acquired by the UK-based, globally-focused Bupa towards the end of last year. At the time Bupa said the deal would enable it to expand its operations in Latin America. It provides health insurance plans to more than 400 Brazilian companies, giving it around 100,000 clients in Brazil. In addition to basic health insurance, Care Plus offers its clients dental plans, occupational health and prevention products. Care Plus founder and CEO Laganá said the Master International range had been conceived and engineered in response to a demand from the marketplace. “Our clients and brokers have stated the need for a product offering coverage to globally-minded and globally-mobile customers,” he explained. In its statement announcing the launch of the Master International range, Care Plus noted that the new range will be made available to existing Care Plus clients in Brazil who currently are subscribed to its Master I plan, as well as to new customers with compatible plans, and to “an additional 2,000 new customers” by the end of 2018. Bupa was founded in the UK in 1947 by the coming together of a number of provident associations and hospital contributory schemes, was initially known as the British United Provident Association although, as it says in a history on its website, it “was never actually a provident association itself”. By July 1948 it says it had 38,000 customers “and an 80% share of the private health insurance market” in the UK. It remains privately held, and has expanded from health insurance in the UK to include privately-run Bupa hospitals, as well as internationally, so that it’s now one of the world’s largest providers of health insurance and healthcare, looking after more than 27 million people across the globe. In addition to London and Brighton in the UK, it has offices in Miami, Copenhagen, Dubai (in partnership with Oman Insurance Co), and Hong Kong, as well as regional offices in Mainland China, Singapore, Egypt, Mexico, the Dominican Republic, Bolivia, Brazil, Panama, Guatemala, Ecuador, and – since the acquisition of Care Plus – Brazil.